Shabby Apple contacted me a few weeks ago for a collab. I’d remembering seeing this name before a few times when reading through outfit credits but I’d never been to the site before. Often times when brands contact smaller bloggers offering a product I will often take time to atleast click through the website and see if the brand aligns with CMC. Often times you can’t find anything you even remotely like on the website, which I’m sure sounds pompus towards a free product. But I like to think long term for my closet and not just pile in items because they’re “free.” I had this exact mindset going onto Shabby Apple’s site, I was skepitcal that I would find anything. So I opened the notepad on my laptop and was preppared to paste in any links of items I thought could be cute a first glance. To my surprise, I found 10 items that I liked and that was only within the new arrival sections. I tried to narrow down from there thinking about staple pieces that my closet was missing. I landed on this denim beauty. I’ve been looking for something with a longer hem line for work that still has a flirty shape to it. 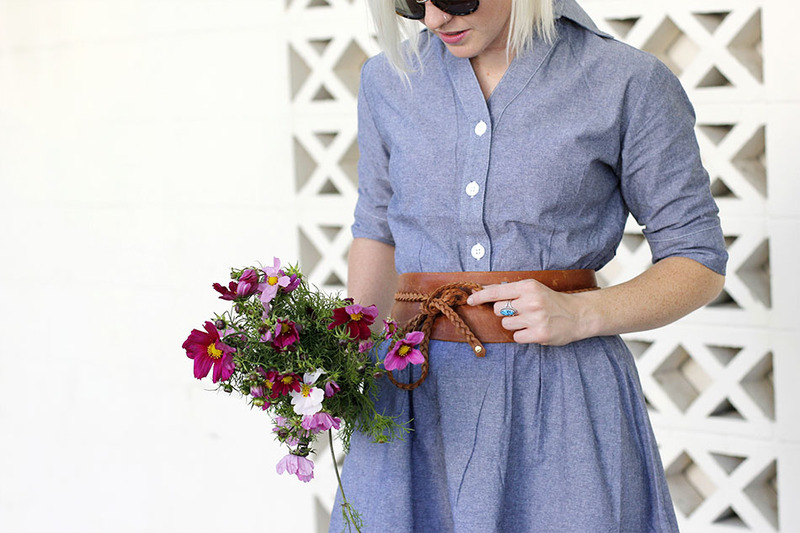 I’ve purchased several denim/chambray dresses before usually they are too short after washing or the sleeves hit in a strange spot on the arms. When I first pulled this out of the bag I was like oh no this looks huge! No it fit my hips and waist nicely (usually this never happens for me.) The color does appear a bit darker in person than on the website, so keep that in mind if this piece strikes your fancy. I LOVE this outfit! Thanks for recommending a cute store. You look gorgeous! http://trendkeeper.me .. Date night and HAUL! very nice and lovely look!